This Salmon recipe with sweet and sour flavours, surrounded with fruit and vegetables is incredibly delicious, plus easy to make, not to mention very healthy. In a parchment paper put a few slices of onion, slices of garlic and slices of peeled orange and place fish on top. Pour lemon juice and honey over salmon and a spoonful of olive oil. Season with salt and pepper. Surround fish with red and green bell pepper and cover with onion, garlic and sectioned orange slices. Cover with the parchment paper and pierce foil, allowing steam to escape. 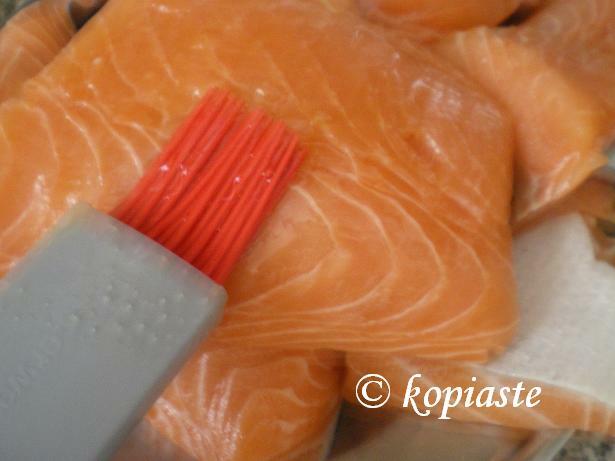 The salmon fillet with the orange and the onion seems an interesting combination. I’ll definetly try it myself. At the beginning I was a bit reluctant to try it but the result was excellent.